Plus hundreds of more voice over students, both new and veteran whom are now actively working in voice overs thanks to Anthony Reece and VO101. I can’t tell you what a blast it was completing “The Works” with Anthony Reese! I’ve been in the film and television business for 40 years and can honestly say he is a consummate professional; very knowledgeable, creative and he even made the classes and assignments fun. I was so impressed I just signed up for additional classes and can’t wait to apply the new found skills. Thanks Anthony! Thank You Again Anthony Reece And VO101 studio! So proud of the way our demos turn out. Cant wait to work together again!! The VO101 course is so beneficial and Anthony Reese is someone I honestly can’t rave enough about. First of all – he cares. This is huge. He cares about the Voice-Over profession and he cares about his Voice-Over students. He develops profitable VO material because he’s keen to see VO wannabe’s cued-up and able to deliver. He also makes himself available to those who are still on their VO journey. And even though he wears a lot of creative hats himself (…and wears them well); I have found him to be more than generous with his time. He keeps his finger on the pulse of what’s going-on in the industry because he’s an active part of it. His experience is impressive and he’s a crackin’ demo producer that offers a lot of bang for your buck! I would like to post a recommendation. 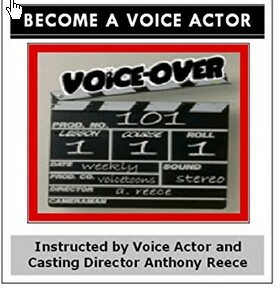 I stumbled upon VO101 and Anthony 2 years ago, and did the basic course, then the 30 day /8 coaching sessions. I am VERY happy. This is true value for the money if you want to learn basic VO and advanced topics. Anthony is a veritable fountain of knowledge and has real world working professional experience that flows out in abundance during the coaching sessions. I am going to continue taking some advanced coursework from him, as well as producing another demo, and I wholeheartedly recommend VO101.com to those looking for a down-to-earth, no-nonsense ethical coach and demo producer. This will be the best money you’ll ever spend, and you WON’T regret a penny. Thank you sir. It has been a pleasure working with you. I value my students being ready for battle and hope to see you advancing as a professional voice talent over the years to come. God bless. Contact our studio Monday through Friday 9am to 6pm MST. Copyright © 2019 VO101 All Rights Reserved. Gravida Theme by SKT Themes.